Wheat is one of the oldest cultivated plants in human history. Originally from Persia, this cereal is now to be found all over the world. Wheat germ oil is often blended with other oils, so pay attention to the quality of the products and their certifications. 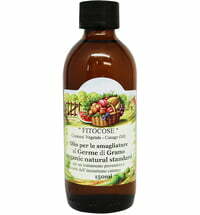 After sea buckthorn oil, wheat germ oil is the vegetable oil with the highest content of tocopherols (vitamin E). These give the oil a strong antioxidant effect. 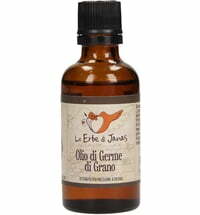 Therefore, wheat germ oil is the best treatment for mature, damaged and pale skin with poor circulation. The natural protective barrier of the skin is strengthened and water loss is reduced after using this oil. Due to its elasticity and circulation-enhancing effects, wheat germ seed oil is also an important part of skin and perineal care for pregnant women. 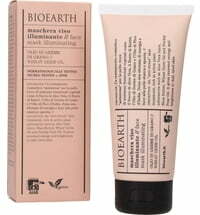 For mature skin, it provides the optimum night care for sensitive, damaged skin or for allergic skin reactions. 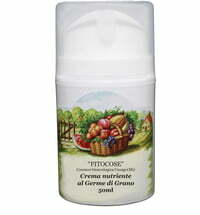 In cases of allergies, the skin is soothed and refreshed. 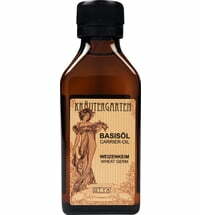 This versatile oil penetrates deeply but slowly into the skin, making it very moisturizing. The protective film it leaves on the skin keeps the skin from drying out. 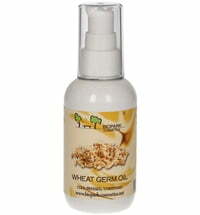 Wheat germ oil is not only a valuable care product for various skin types but also ideal for the care of dry hair and flaky scalp.